Gates Truck & Auto Center is a family owned and operated car dealership located in Franklin, North Carolina. We have been serving the Western North Carolina area since 1997. We specialize in 4WD Truck's and SUV's, but we try to keep something for almost everyone. A large portion of our business is locating specific vehicles for customers that we normally don't have on the lot. More than half of our sales come from repeat customers which shows we are doing something right! We have a very low overhead and are able to pass the savings onto our customers. All of our vehicles are thoroughly checked by a certified mechanic and have been reconditioned to ensure that they meet our high standards. All of our vehicles come with a free Autocheck Vehicle History Report as well. We have never been a high pressure dealership that tries to pressure each person that walks onto the lot to purchase one of our cars. We are simply here to help you get the vehicle you want at the best price possible. You deal directly with the owners where your business is truly appreciated. You can rest assure knowing your investment is safe with us. Below is a little information on all of us here at the dealership, we look forward to meeting you and your family and assisting with your next vehicle purchase and hope you will give us the opportunity to earn your business! In 1976, Randy Gates got promoted to a sales position at Scott Rodes Buick Pontiac GMC in Sylva, North Carolina. 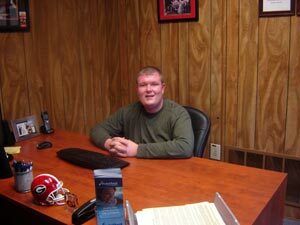 Over the next 21 years, he would end up having a large and very loyal customer base that enabled him to earn several various awards and recognitions through General Motors. In 1997, he decided he wanted to open his own dealership and on April 1st Gates Truck & Auto Center was officially open for business. 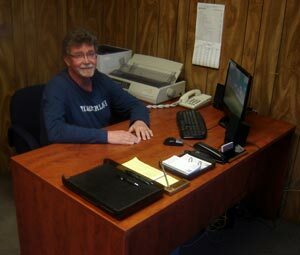 With help from the community and his loyal customers, he has grown Gates Truck & Auto Center into what we believe is the best used car dealership in the area. Randy was born in Sylva, North Carolina and he is a 1975 Graduate of Sylva Webster High School. Randy's son, Jared Gates, has always been around cars in some way or another. He started out at the dealership in 2002 when he was still in high school. After school he would take pictures of all of the vehicles that we had and put them on the internet. In doing this he realized he really enjoyed it and by 2006 he was working full time. Today, Jared and Randy both share day to day duties at the dealership and both will be glad to help you get into your next vehicle. Jared is a 2007 Graduate of Franklin High School and graduated with honors from Southwestern Community College in 2009 with an Associate Degree in Business Administration. Chris Smith has been working with Randy since their days at Scott Rodes. When Randy opened Gates Truck & Auto Center, Chris made the move with him and has been here ever since. Chris is responsible for all of our vehicles and making sure they are in the best condition possible. He is the reason our vehicles are always the cleanest around and takes pride in knowing that when you walk onto our lot everything you see is always in the best possible condition they can be. Chris is a 1990 Graduate of Smoky Mountain High School.